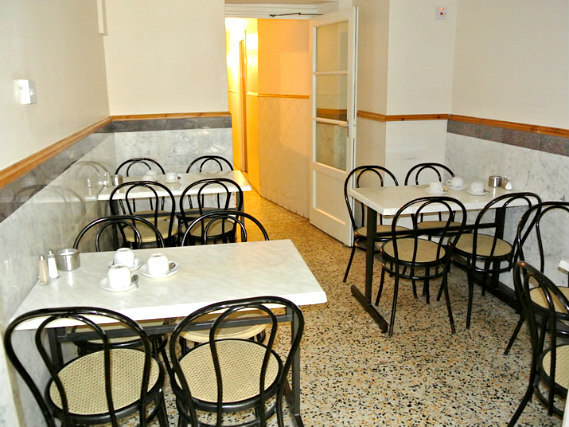 Belgrove Hotel offers you cheap rooms with a central location in Kings Cross. As it’s only a couple of minutes walk from Kings Cross St Pancras Tube Station, you will be able to get to places like Covent Garden and Oxford Street really easily. 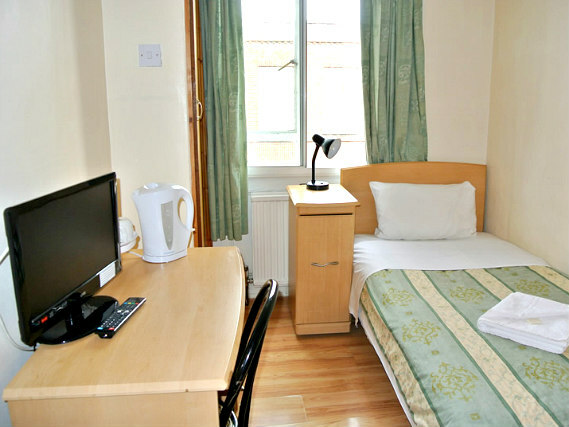 You’ll also find plenty of attractions surrounding your B&B including the British Library and the London Canal Museum. 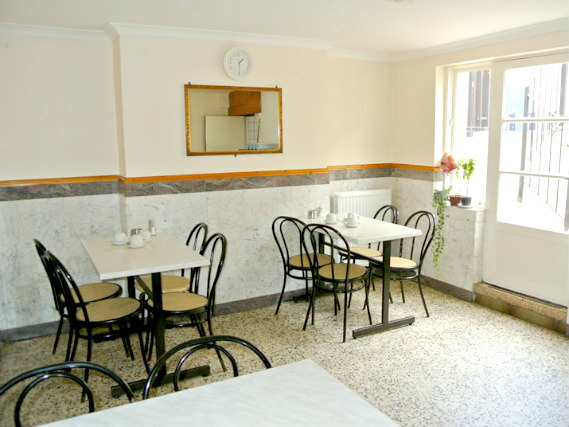 Handy amenities you will find here include a 24-hour reception, payphones and a complimentary full English breakfast. 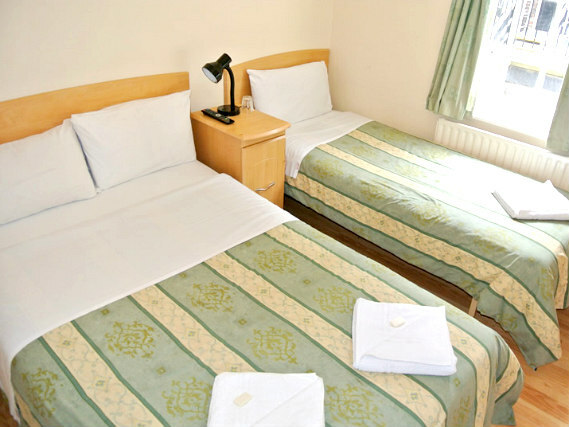 There are single, double, twin and triple rooms available at Belgrove Hotel. 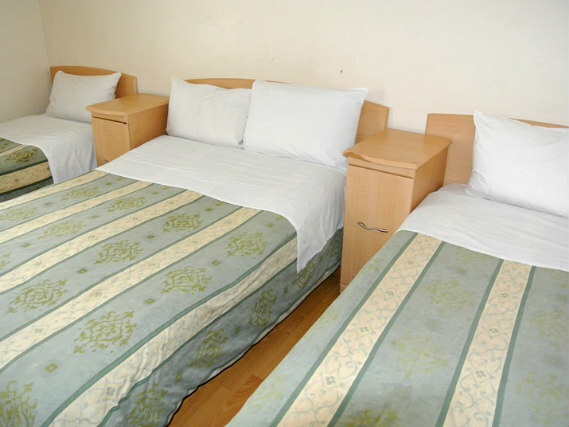 These are compact, but if you’re only looking for somewhere to sleep you'll get a great location at a great price! 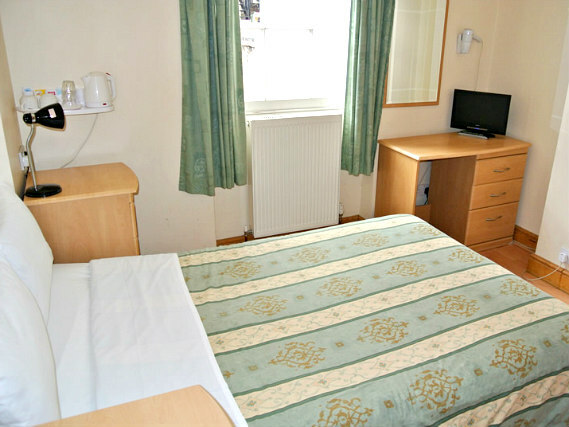 Most of the rooms have the cheaper option of a shared bathroom, or a slightly more expensive ensuite shower, toilet and washbasin. Inside all of them, you will find central heating and a colour TV. 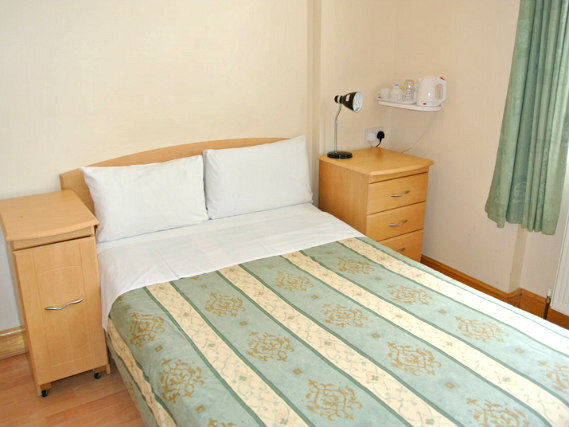 If you pay more for ensuite, you will also get tea and coffee making equipment and a phone for incoming calls. 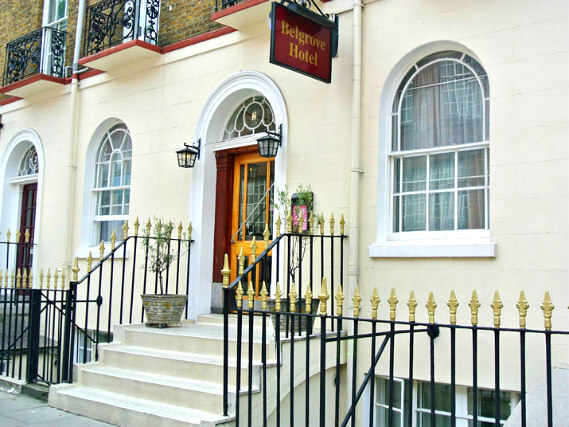 Belgrove Hotel is situated in up and coming Kings Cross, where you will find plenty of tourist attractions such as the British Library, the London Canal Museum and Old St Pancras Church. When you want to explore places like Camden Town, Covent Garden and Westminster, you should catch a tube from Kings Cross St Pancras, which is really close by. As St Pancras Train Station is home to Eurostar connections to Europe, you could even go to Paris from here! 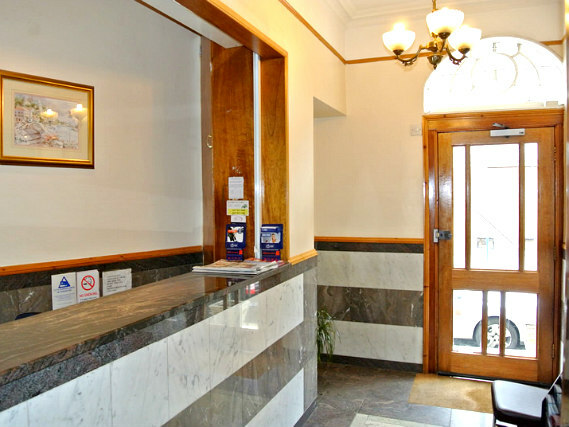 The free wireless internet access available is located at Belgrove Hotel’s sister hotel which is only a few minutes’ walk away. 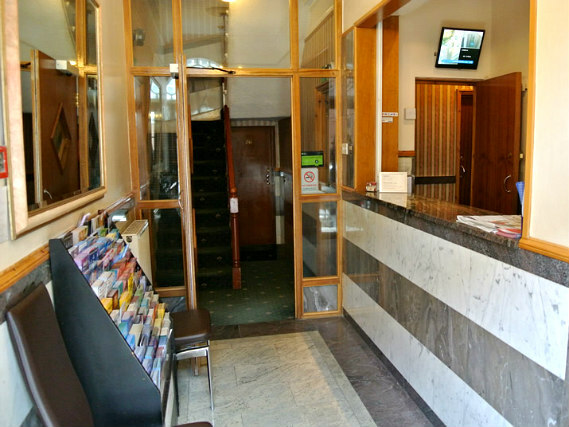 Belgrove Hotel has luggage storage and tourist information available. 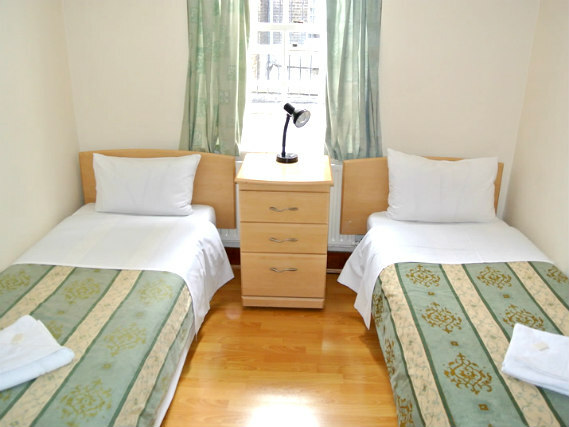 Cots, wake up calls, irons, hairdryers and non-smoking rooms are available on request. Please note that the Belgrove Hotel has a 3 night minimum stay at weekends. 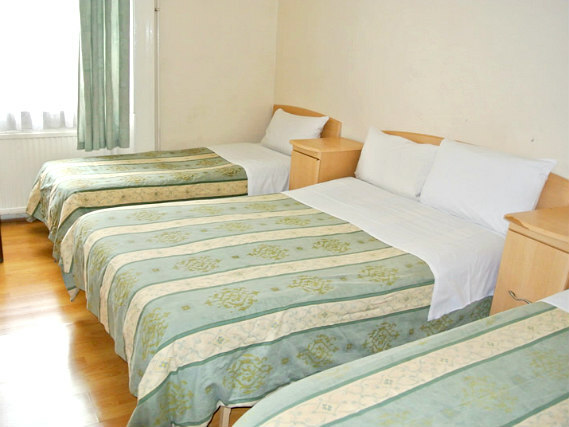 You’ll find that Kings Cross St Pancras Tube Station is only a couple of minutes walk away from Belgrove Hotel. Tubes that run on the Victoria, Piccadilly, Hammersmith & City, Circle, Metropolitan and Northern lines will stop here. From Kings Cross St Pancras Tube Station you should take the Euston Road exit, turn right and start walking. You will need to turn left into Belgrove Street where you will see Belgrove Hotel on your right.